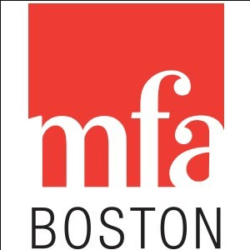 The Museum of Fine Arts, Boston serves a wide variety of people—from school children to adults—through direct encounters with works of art. In addition to housing renowned collections, the Museum also offers numerous exhibitions and opportunities for learning and community engagement. The Artist Project is a collaboration between the MFA and ten after-school community organizations in the Boston area. Each year a new experienced artist with a passion for community arts is selected to plan and lead a project with children between the ages of six and twelve. The lead artist guides the children and helps them create a collaborative work of art inspired by the Museum’s encyclopedic collection. The completed project is exhibited in the Edward H. Linde Gallery in the Linde Family Wing for Contemporary Art at the MFA. A stipend of $22,000 and a materials budget is provided to the selected artist. Please visit our webpage for more information and to apply. Applications for the 2019-2020 Artist Project accepted through January 18, 2019. Job Categories: Museum and Gallery. Job Types: Freelance. Job Tags: artist, arts, fine arts, gallery, museum, and teaching. States: Massachusetts.